New cases of Ebola are now tailing off in Liberia and Sierra Leone, and research scientists are racing against time to learn as much as possible about what is normally a rare disease. One of those scientists is Dr Jimmy Whitworth, who has just taken up a new post as professor of international public health at the London School of Hygiene and Tropical Medicine, leading a three-year project on epidemics and preparedness. He spoke to IRIN News about what he will be trying to do. WHITWORTH: I want to stimulate more, better, more timely, and more appropriate research around epidemics. I'm particularly thinking about Ebola but also more broadly than that, and thinking not just about the acute response to epidemics, but about the rebuilding after them, making sure that health systems have surveillance and are ready to deal with epidemics as and when they occur. IRIN: We have been focussed on treating people, trying to stop Ebola spreading. But now that there is a little time to breathe, what are the scientific priorities – the things we don't know and we really need to know? WHITWORTH: There's a whole set of things that we still need to know about this epidemic. How best should we treat patients who have Ebola? That's something we haven't captured yet. There are various levels of this debate. One is about fluid and resuscitation. Many patients get dehydration, shock, multiple organ failure as a result of Ebola, so how best can we prevent that? Are oral fluids sufficient, or should we be using intravenous fluids? If so, who should get them and how much, and how do we monitor whether they are getting overloaded with fluids? And then there are other aspects, like should we be giving prophylactic antibiotics for people who are infected with Ebola? And is it worth giving drugs to prevent the profuse diarrhoea that often occurs? IRIN: We are now seeing what appear to be a range of different success rates for treating Ebola, but are the statistics reliable enough to say whether some facilities are actually more successful than others? WHITORTH: I think that's a very interesting question. We are seeing quoted rates of anything between 25 percent and about 80 percent mortality for Ebola, which of course is a huge range. I have been talking to some of the physicians involved in some of the very low case fatality rates, and I think actually that these are credible. These are plausible rates and they are mostly characterised by treating with intravenous fluids pretty aggressively and early on. IRIN: What else would you like to see work on? WHITWORTH: There needs to be work on how best we should deal with contacts and suspected cases, because there's a sort of divergence. In the public health area, what we want to do is get people who might have Ebola out of the community, and we want to do that as quickly as possible so that there is no transmission. But for those individuals, how best should we manage them in ways that don't actually increase their risk of catching Ebola from being put in quarantine with people with a higher risk than themselves? Whitworth says more work is needed on how to deal with suspected cases. At different stages of the epidemic you probably ought to be doing different things. When the epidemic is really raging, then I think the public health priority in order to control it is getting people who might have it out of circulation. But as you come over the hump of the epidemic and you have got fewer cases, then I think there is an opportunity to be more nuanced in the way you deal with contacts. And you can separate those who are contacts but with only a mild possibility of being infected, and treat them differently from those where you have a strong suspicion that they are going to have Ebola. IRIN: We do seem to be past the worst, so is there a moment when the scientists think, “Help, we have to grab all the information quickly now because we won't have all these cases around for much longer?" WHITWORTH: I think we often notice in these epidemics that in terms of the systematic capture of information, there is often a very narrow window. Very early on in the epidemic, and when you are at the peak, then it is 'all hands to the pumps'. There really isn't time to do much in the way of research. When people start to be able to catch their breath and look up and look around, there is an opportunity. But with these epidemics you often come down from high numbers very rapidly. The tail can go on for quite a long time, but that's with many fewer numbers. So there's a limited window in which really good quality research can be done on the epidemic itself. "How best should we treat patients who have Ebola? That's something we still haven't captured yet." But there are still things which can be done. 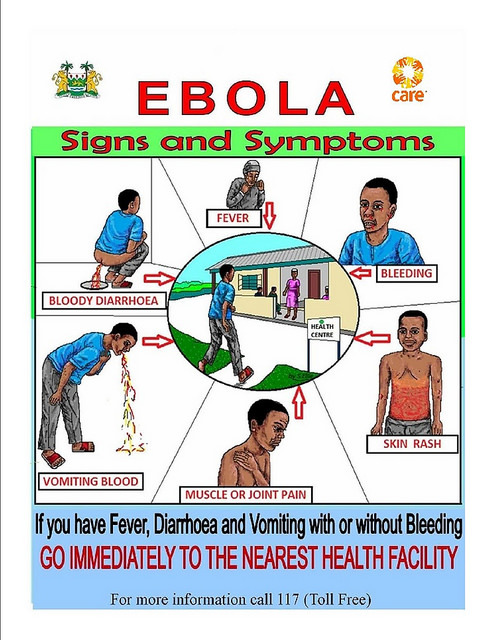 So it would be really useful to collect more information about survivors of Ebola and what sort of long term sequelae there are from having been infected. We already are pretty clear that there can be some quite serious mental health issues that come from having had such a frightening illness, but also it looks as if muscular problems, joint problems, eye problems, ear problems are all relatively common. IRIN: Coming to the question of how we manage future Ebola epidemics – what lessons have we learned? WHITWORTH: This was really the first time it had been seen by West African countries. East African countries, the Democratic Republic of Congo (which isn't the most organised of places), Uganda, have all had epidemics and they have been able to control them. But they have been able to do that by acting promptly, recognising that they had a condition, calling for international help to be able to control it and getting it controlled. The problem we had here was that there was inaction, and national governments and the WHO Africa office didn't act quick enough, and allowed it to persist for several months before really alerting the world to the problem. IRIN: So what needs to be done? WHITWORTH: I think that for global security it is important that all countries in the world have a sufficient level of public health services, preparedness, surveillance, epidemic recognition and response to be able to deal with epidemics. And I think part of that is recognising when something is of sufficient severity that you need to call in external support. We also have to recognise that there are other countries in the world which probably have equally weak public health services and make sure that they are strengthened, because if they are vulnerable then, frankly, we are all vulnerable. IRIN: Apart from Ebola, what else will you be keeping an eye on? WHITWORTH: I think there is a need to strengthen field epidemiology generally to be able to recognize, characterize and be able to respond to epidemics of any kind as they occur. I was struck by a talk the other night, where someone was saying, “What have we done different in this epidemic from what John Snow would have done in 1854?” And actually, probably nothing. Snow was instrumental in controlling an epidemic of cholera in London in the mid-nineteenth century. That was about assiduous case records and mapping and identification of where the source of the epidemic was, and then removing that source and preventing the epidemic from spreading. We have done exactly the same for this epidemic now in 2015 as we probably would have done in 1854. IRIN: Is that a bad thing? WHITWORTH: Well, I think it shows what a visionary John Snow was, but it also points to the fact that within field epidemiology we could embrace modern technology more. I think there are opportunities for dealing with data, for mapping, for predicting; complicated analyses can be done far quicker now than they ever could before. We need to embrace modern microbiology, including genetics and genomics, to be able to track the spread of epidemics. All of these are things we could do more and better. And we must also make sure that we bring in the anthropology and the social science aspects – one of the things I am very struck by in the current epidemic is that the current drivers of the persistence of the epidemic are all social and behavioural. IRIN: And in terms of the humanitarian response, could we have been faster on our feet? WHITWORTH: That's an interesting one. After the SARS epidemic, the WHO revamped the international health regulations, so countries do have to notify WHO if they have a major epidemic. It still remains within the national remit of that country to mount its own response and it's only really if a global emergency of public health significance is declared that you get an international response. You simply cannot walk into somebody else's country to control their epidemic unless you are invited. And that was part of the issue that we had here. It took really until September for that declaration of a global emergency. "We have done exactly the same for this epidemic as we probably would have done in 1854." People have questioned the role and performance of the WHO in this epidemic. Clearly we do need a supra-national body which is able to look after health and coordinate activities round the world. And if it isn't the WHO, then who is it? If the WHO hasn't acted appropriately or adequately in this case, then since it is the embodiment of national governments coming together, those governments should support it better and should provide it with the resources to be able to mount the kind of response that it ought to. I don't think we need a different body; we just need to support the WHO better.